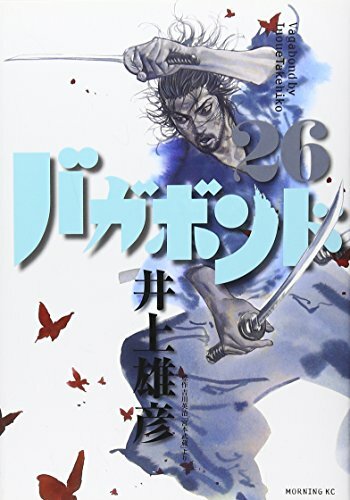 Vagabond (Book #26) (In Japanese Language) by ToÌ''kyoÌ'' : KoÌ''dansha, 2007. at Translate This Website. SKU: U-0535. Hurry! Limited time offer. Offer valid only while supplies last. Manufacturer: ToÌ"kyoÌ" : KoÌ"dansha, 2007. Publisher: ToÌ"kyoÌ" : KoÌ"dansha, 2007. Studio: ToÌ"kyoÌ" : KoÌ"dansha, 2007. Brand: ToÌ"kyoÌ" : KoÌ"dansha, 2007. View More In Comic Books. If you have any questions about this product by ToÌ"kyoÌ" : KoÌ"dansha, 2007., contact us by completing and submitting the form below. If you are looking for a specif part number, please include it with your message. By ToÌ"kyoÌ" : ShoÌ"gakukan, 2004.